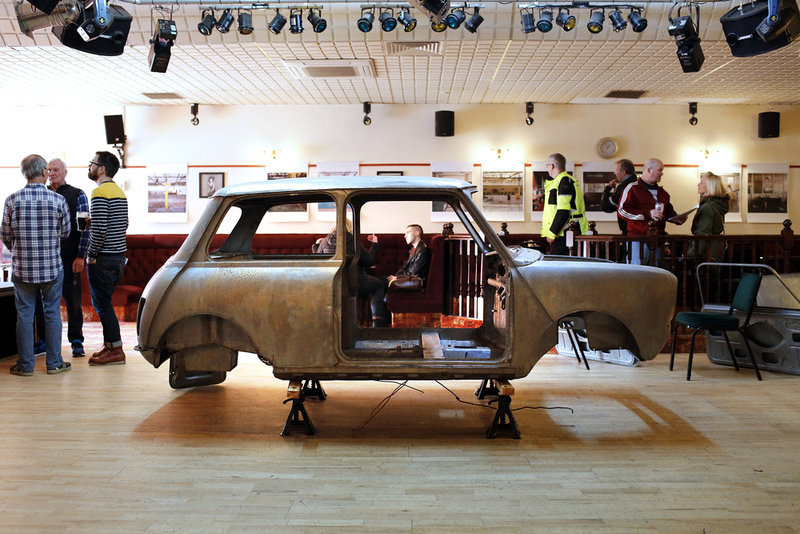 The exhibition was made up of photographs, films, research material and the shell of the 1979 1275GT Mini that the artist has been restoring with the help of former employees of the Longbridge car factory. Mini owners were also invited to exhibit their cars in the social club's car park, which proved a great attraction to visitors. With thanks to Greenlands Select Social Club for hosting this event.